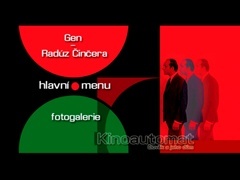 Kinoautomat, the invention of the multimedia magician and visionary Radúz Činčera, is historically the first interactive film, where the audience decide themselves by voting how the film will continue, in the world. In 2007 it celebrated an unbelievable 40 years from its conception and bombastic success at EXPO '67 in Montreal. 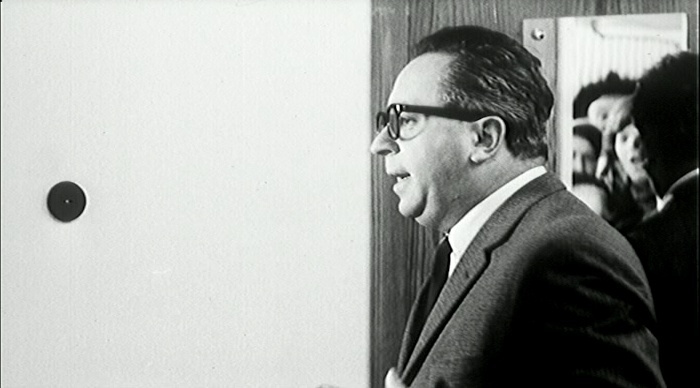 The prestigious American weekly newspaper The New Yorker wrote after it was introduced in Montreal: "Kinoautomat belongs to the guaranteed hits of the World Exhibition and Czechs should build a monument of Radúz Činčera, the author." 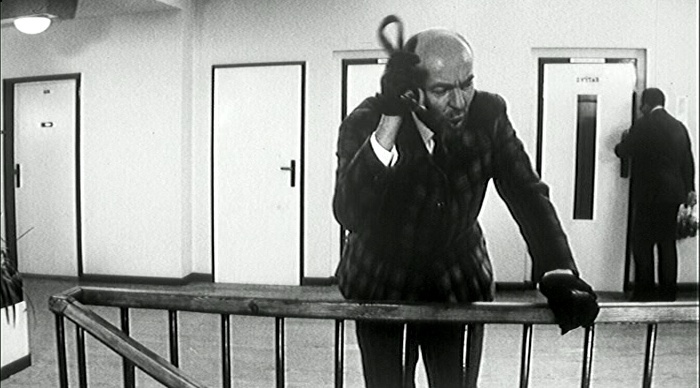 Over the decades, Kinoautomat was not possible to be recorded on any medium, because no such medium existed. 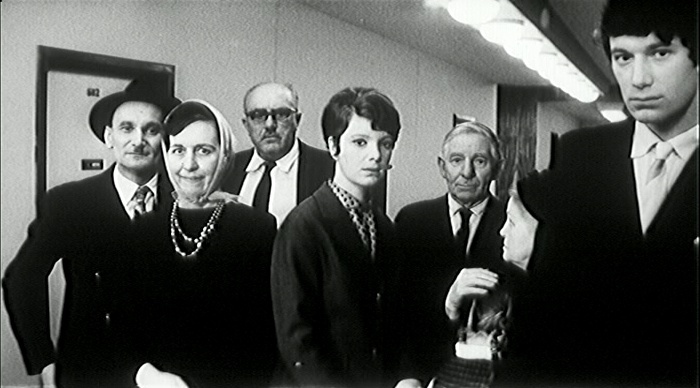 The reconstructed version of Kinoautomat on DVD is the result of several years of effort by the inventor's daughter, director Alena Činčerová. 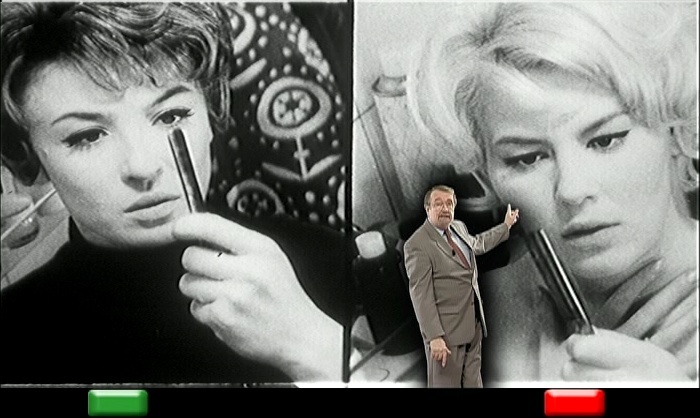 This interactive DVD has been supplemented by newly shot stage performances, so that the viewer at home, on TV or on the computer screen, can fully enjoy the scent of that ancient interactivity, as the invention was described by Radúz Činčera after all those years. 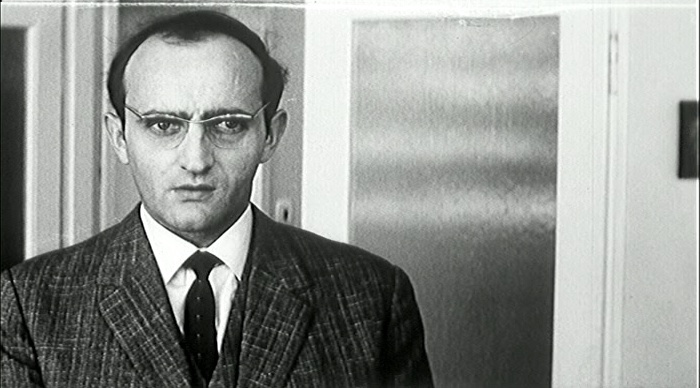 Czech Feature Film IV, 1961 - 1970 (195) on "Kinoautomat:"
Kino-Automat won the competition for Czechoslovak participation at the EXPO 67 World Exhibition in Montreal and was the main part of the programme of the Czechoslovak Pavilion. 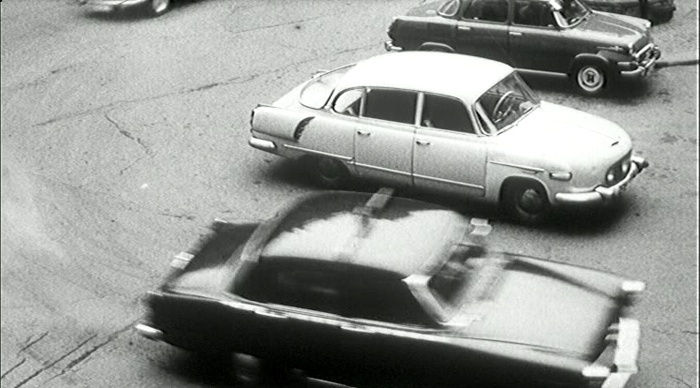 The project became the first interactive filmwork in the world: the first to use the play of the public with the film as well as the play of the filmmakers with the public. Its name was derived from the motto of EXPO 67, "Man and His World". Later, the principle of Kino-Automat was presented in many other countries, including the USA and Japan, under various titles (Kino-Labyrinth, Caleidoscope, etc.). 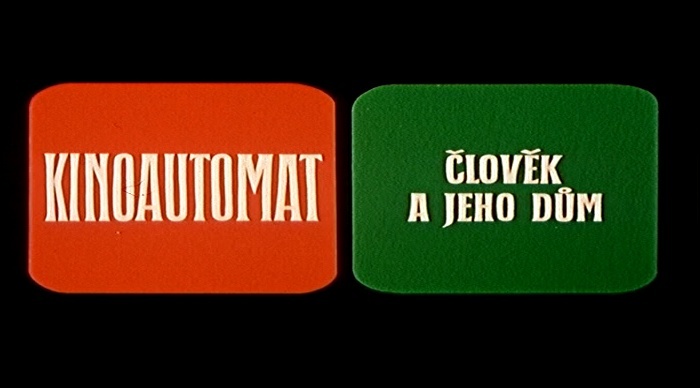 In Prague, Kino-Automat was launched in the Světozor cinema in 1971. 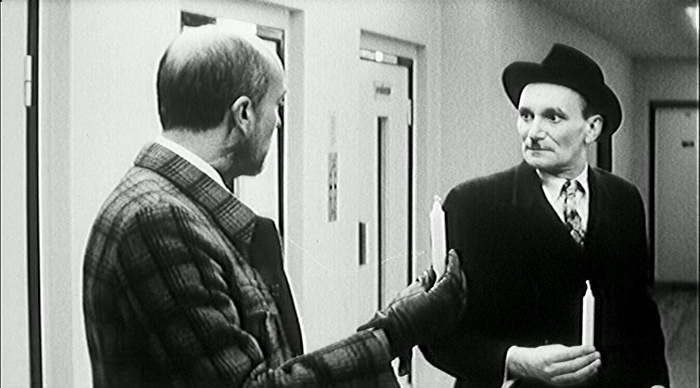 According to the inventor of the idea, Radúz Činčera, "...the substance of Kino-Automat does not lie in the combination of film with live actors, as is often mistakenly thought and as is the case of Laterna Magica. It's principle is based on the possibility of direct participation of the viewers in the story in progress. 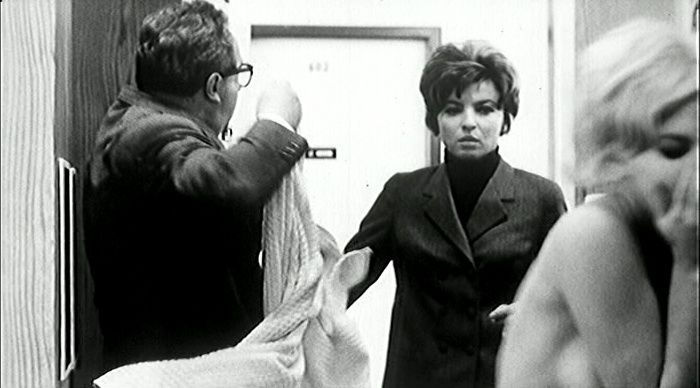 The film story stops many times during the performance and the viewers have the possibility to influence its further progress according to their own wishes. The viewers' opinion is found by an electric voting appliance run by a computer and the plain majority decides, on behalf of the main character, how the story is going to proceed. 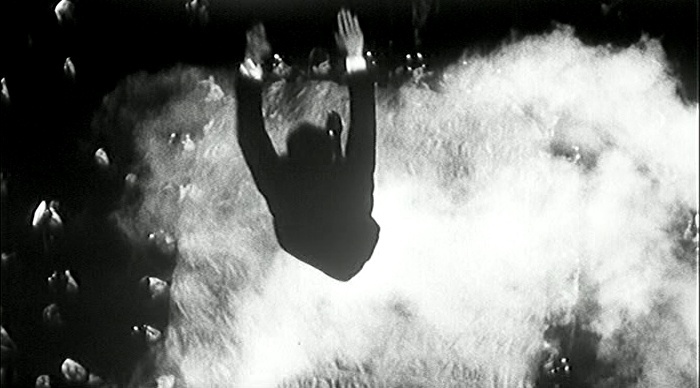 This direct participation in the story in progress substitutes the atmosphere of a theatre performance, thus, for the first time in the history of cinematography, breaking through one of the basic barriers between theatre and film." 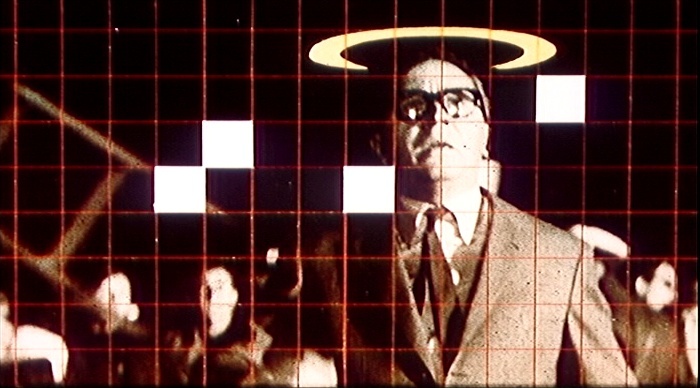 The film was projected to the main screen from 35mm film tracks by four projectors (only three in Prague), and, to the side screens, by two 16mm-projectors. 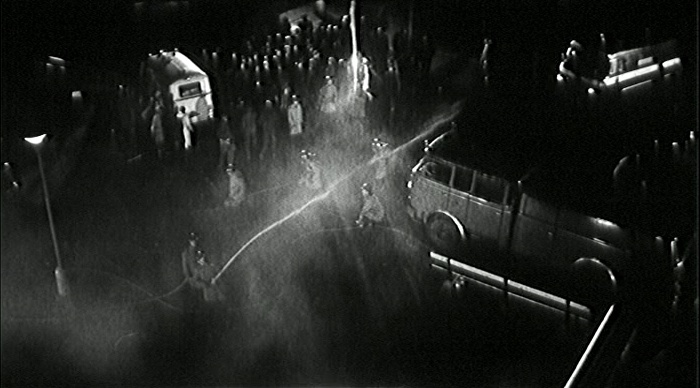 The relevant sound accompaniment was recorded on four magnetic foots (dvdfreak: they probably meant "tracks") of 35mm film and both the projection of the picture and the reproduction of sound were controlled automatically from the production manager's control unit, which allowed for the director to directly affect the course of the programme. The active participation of the viewers in the story was made possible by buttons connected to the seats in the auditorium. The whole appliance was accompanied by an informative frame situated on the perimeter of the main screen. The viewers were thus able to follow both the course of action and the results of voting. 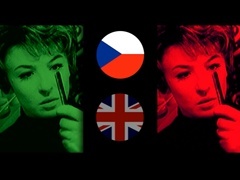 The technical equipment was designed by Bohumil Míka and Zdeněk Malina and the architect of the stage was Josef Svoboda.